This past month has been amazing. I feel so grateful for everything in my life. I am learning, observing, seeking, doing, embracing, and loving. Everything about health, nutrition, and wellness makes me feel so alive. It doesn’t matter if it’s a casual discussion with a friend, or a more serious talk with someone who needs some assistance. It could be simply spending an hour at a grocery store looking at labels, seeing new products, keeping up with my industry (yes, I do this, often). 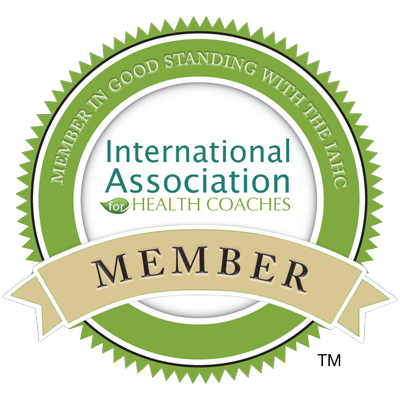 It is the learning process I’m in at IIN, The Institute of Integrative Nutrition, where I’m studying to become a certified Health Coach. Soon enough I will create my own personal practice to assist and guide others on their own health journey. It’s networking with like-minded people, people that ‘get it’ because we think a lot alike and share the same love and have similar aspirations. In the past month I have focused more on my Instagram, and was even fortunate enough to make a couple friends who have a huge presence already on the popular social media site. Cassandra Bodzak from Going Sweet and Skinny, a fellow IIN grad who resides in NYC, (and famous for her amazing, award winning, The Taste worthy vegan cupcakes) was coming to LA, so I reached out. We found out we shared a mutual adoration for Cafe Gratitude (see my post here on my fave healthy LA eateries! ), so that is where we met up. It was so fun getting to learn about her journey, successes, and what she’s learned along the way. The evening was inspiring and motivating! Not to mention I didn’t feel so alone snapping the perfect pic of our food for our Insta accounts 😉 I look forward to the next time I visit New York so we can go to one of her favorite spots there! Nikki Sharp from Stay Sharp & Be Strong is another amazing, successful, girl who was a former international model and has an extremely large following on Instagram and creator an ever popular Detox eBook. I was happy she took the time to meet up with me at another favorite place of mine, True Food Kitchen. Dr. Weil, one of the contributors to IIN who offers lectures for our curriculum, created the menu there. We had a great time and she offered me some good advice too. This past Tuesday I went to an event put on by the fabulous Whitney English of To Live and Diet in LA. The event was called “Vinyasa y Vino” where the first hour was a serious Vinyasa Yoga session lead by Jake Ferree. He was awesome. The second hour we got to mingle and meet the other attendees, many other bloggers like myself. The girl I chatted with the most was Julie, blogger of Julie Goes Healthy, who resides in Orange County and has an incredible story on her own path to a happy, healthy life. And, of course, I got to meet the lovely hostess and birthday girl, Whitney. Whitney is an inspiration; an over-achiever with a dynamic personality. You should check out her website (above). I love it. We also were sent home with a gift bag stuffed with goodies. Luvo Inc. was also so kind to give me a little cooler filled with 4 frozen, low calorie, healthy meals. Thanks, Luvo! I will be writing more about my schooling at IIN soon. So far, it has been a fantastic journey, and I can’t wait to see what else the future holds! This is amazing, Leah!! I’m so happy for you!!! Wonderful meeting you Leah! I love that you reach out to fellow bloggers – it’s something I really want to and need to do.